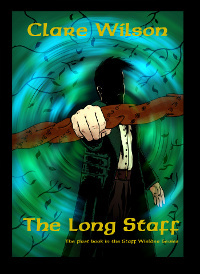 The Long Staff, by Clare Wilson, follows the adventures of a young Tom MacKay, in the wrong place at the wrong time, as he finds himself dragged back in time to fight great evil using a magical staff he knows little about. Forced to learn the lore which is his heritage in a matter of weeks, he struggles against dark forces to help keep himself and his family alive. A baptism of fire, the little boy who is obsessed with magical adventures finds himself in the middle of a story he can't put down. 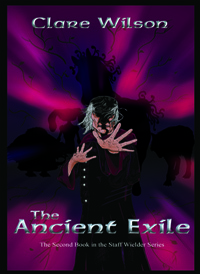 The Ancient Exile, is the second book in the series. One year on, Tom is once again thrown into the world of the Staff Wielders. A fabled hermit, magical creatures tom never dreamt existed and a gateway to another universe bring Tom closer to a pre-ordained destiny that no-one can predict. 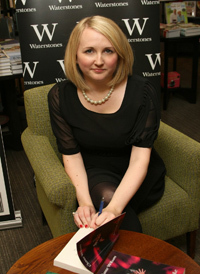 Thanks again to the staff and everyone who attended the launch of The Ancient Exile at Waterstones in Glasgow. An extra special thank you to Ryan who made the trip, and also my illustrator, Paul Gildea, who helped out when my voice gave up the ghost! The Long Staff and The Ancient Exile are available to purchase online through the links to the left or through all good bookstores (ISBN 978-1-907354-06-9).